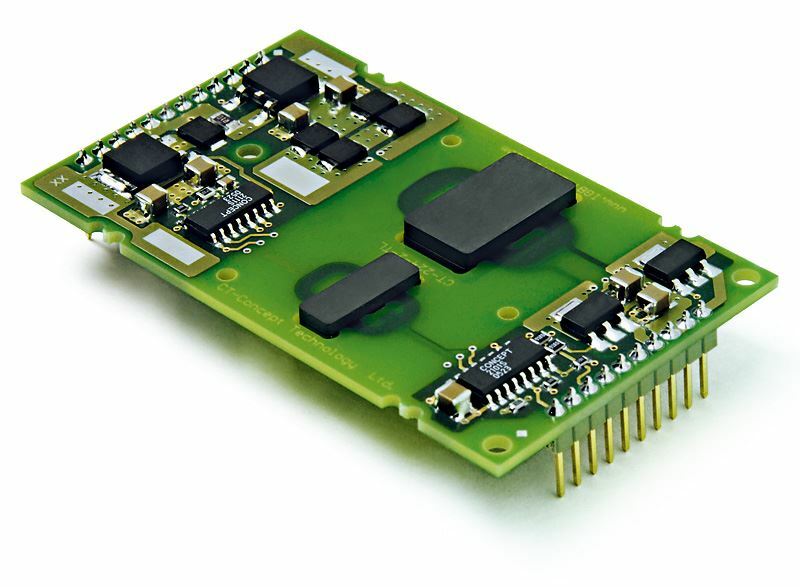 The 1SC2060P is a 20 W, 60 A CONCEPT driver core. This high-performance SCALE-2 driver targets high-power single-channel IGBT and MOSFET applications such as induction heating, resonant and high-frequency power conversion as well as parallel gate driving of large modules. It features newly developed planar transformer technology for a real leap forward in power density, noise immunity, and reliability. Equipped with the latest SCALE-2 chipset, the gate driver supports switching up to 500 kHz at best-in-class efficiency. The 1SC2060P effectively comprises a complete single-channel IGBT driver core, fully equipped with an isolated DC/DC converter, short-circuit protection, advanced active clamping and supply-voltage monitoring. With its extremely compact outline of 44 mm x 74 mm and a total height of just 6.5mm, it delivers high power density with an attractive form factor. Thanks to the highly integrated SCALE-2 chipset, the component count is reduced by 80 % compared to conventional solutions. This results in significantly increased reliability and reduced costs.